The Caribou blog is back and better than ever. We hope everyone is doing well and enjoying the New Year! Last weekend, Bill, Martha and Bobby went down to NYC to visit with new families, present families, and some awesome Caribou alumni. The city was jumping as the Super Bowl was in town! 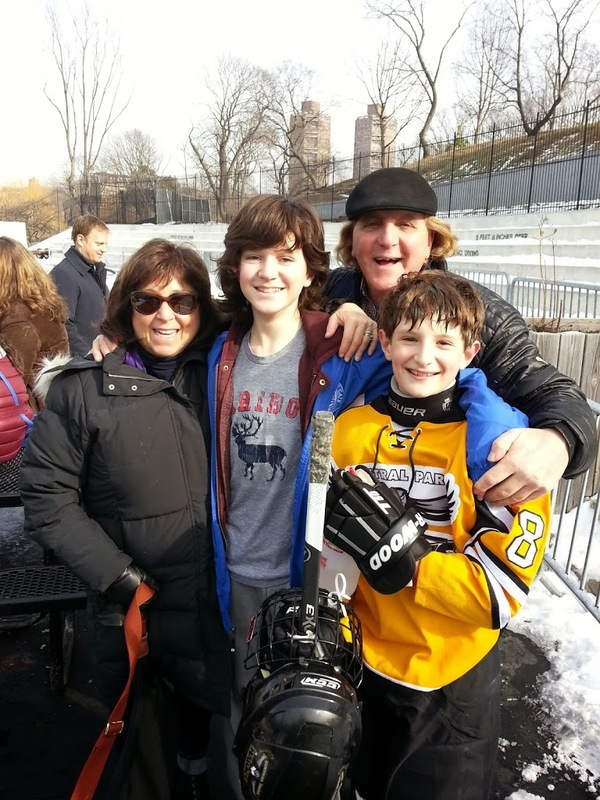 Bill and Martha started the weekend off by seeing Carter Gordon play in a youth hockey game in Central Park… Riley and his parents joined us as well. First off, Riley still has the great hockey hair flow going! And second, Central Park is the perfect spot for a hockey game.. Carter scored 2 goals and his team came up victorious! BOUYAH. Carter says “hello” to Caribou Nation. He also has been in touch with Tigs a lot and is so happy that he is returning to the hockey program at Caribou! Then the next stop was the Fallon family for brunch. Oliver and Conrad were there with their sister Daisy, their parents, and their Grandmother. Conrad, actually made the breakfast himself! He is an amazing chef. 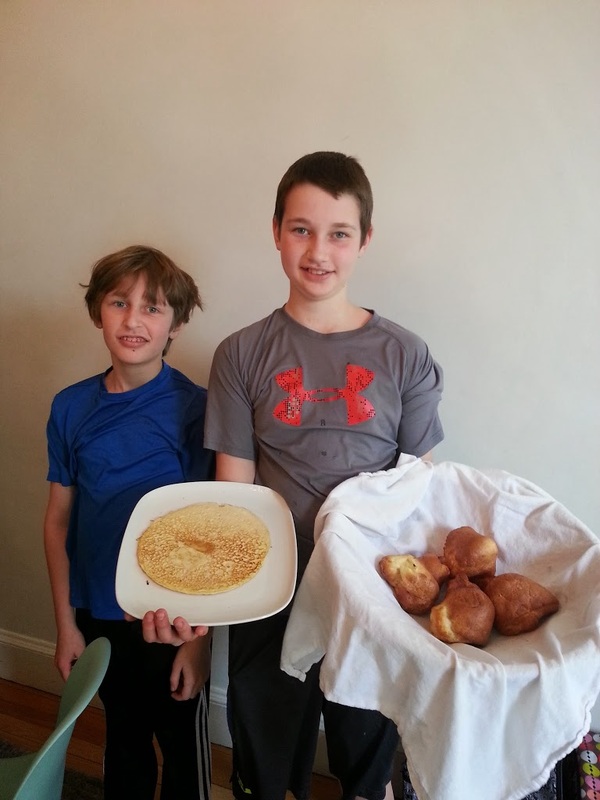 He made homemade crepes and popovers! Conrad is definitely going to have to teach a class or two this summer in our new culinary arts facility. He even sent Bill and Martha home with extra popovers. It was all so good! 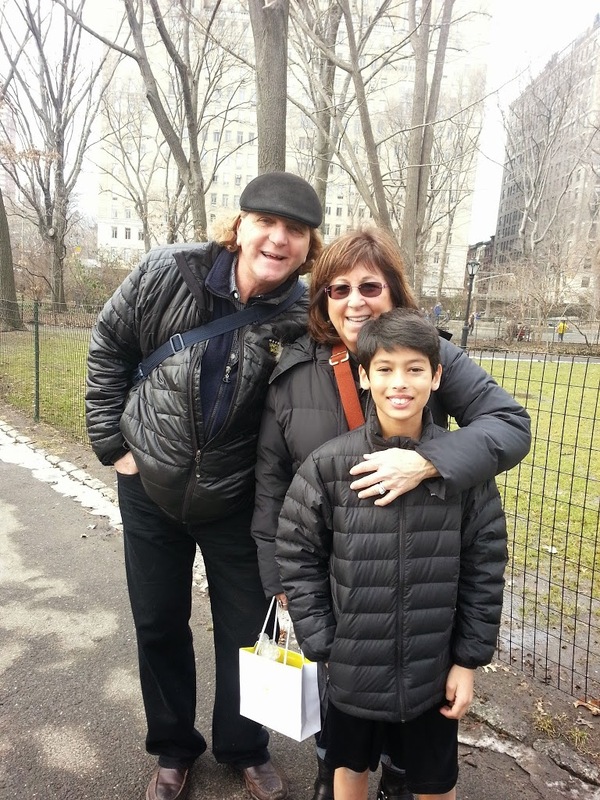 Then Bill and Martha were off to Central Park to meet up with Avi K. and his family. It was so great to see him and catch up with him. He is playing a lot of basketball and having a great school year. Bill and Martha also had a chance to visit with Linus Grieco and talk with his younger brother Henry who will be joining us at camp for the first time this summer. We are all pumped for the upcoming summer! Sunday evening Bill, Martha, and Bobby watched the Super Bowl at a close friends apartment who also happen to be the parents of two Caribou alumni, David and Ben Alterescue. David is now traveling all over the world as the Global Marketing Director for Spotify. His brother Ben, another great Caribou alum, is a documentary film producer. He has a new film out now available on iTunes called “Book of Lone Peak”. You should all check it out. It’s a short film about a great High School basketball team in Utah. We look forward to seeing many more of you at our New York reunion at House of Sports on February 23rd. Keep in touch… 140 days until camp begins!